Fire resulting from accident or arson typical ignition models involving newspaper, matches, cigarettes and gas lighters shall be taken into consideration in any position freely accessible to passengers and staff. Fire resulting from technical defects ignition models, comparable to electric arcs or abnormal temperatures shall be take into consideration. The effects of any flammable gases or flammable liquids which may be present shall also be taken into account. For more detailed information about European Standard EN 45545-2 fire test to Railway Components. 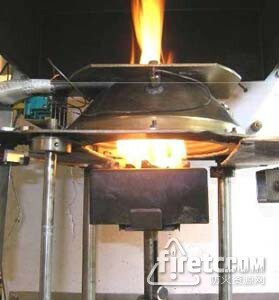 Please contact on firetest@firetc.com or leave inquiry message online.